For the second year in a row, ProTom International has been selected to receive a $150,000 tax incentive award from the Massachusetts Life Sciences Center. The highly competitive award recognizes ProTom’s commitment to new, long-term job creation in life sciences technology. Over the past two years, ProTom has hired 54 full-time employees and signed long-term contracts with 20 consultants. ProTom International is a leading device manufacturer of proton therapy technology. We are steadfast in our mission to transform cancer treatment by expanding the accessibility of proton therapy and by developing proton tomography technology. 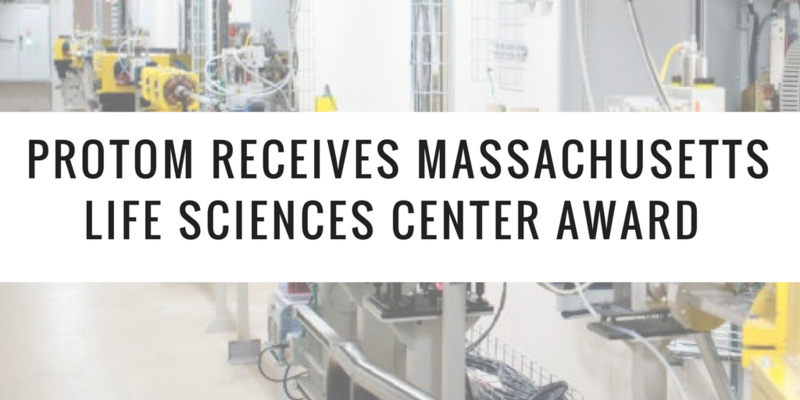 More information about the Massachusetts Life Sciences Center can be found here.